Proof that ex world champion heavyweight boxer Muhammad Ali can pack a punch and an all star event. A unique timepiece from Swiss watch manufacturer IWC Schaffhausen went under the hammer last Saturday at Celebrity Fight Night. 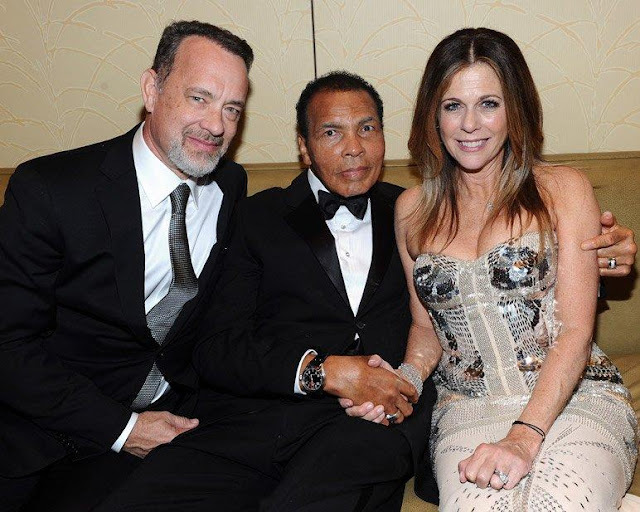 Having long been supported by The Greatest™, Muhammad Ali, the star-studded gala event was established to raise funds for the Muhammad Ali Parkinson Center. This was the 18th time that the former heavyweight champion had invited his friends from show business to come along and demonstrate their support for his charity. The live auction for IWC’s Big Pilot’s Watch Edition Muhammad Ali in white gold attracted an impressive winning bid of USD 60,000. “The man is an icon: simply one of the world’s greatest sporting personalities of our time. 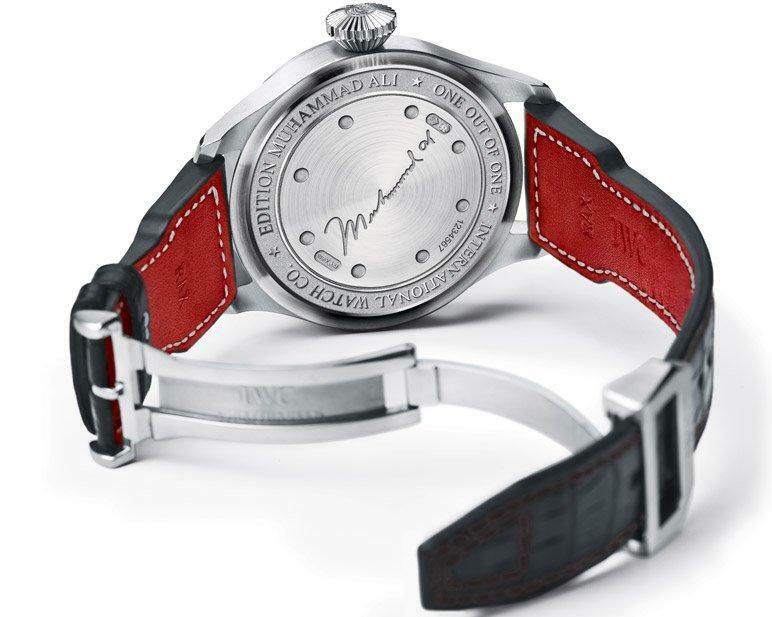 That was the reason we decided to mark Muhammad Ali’s 70th birthday in January with a special watch in white gold in honor of the man who was once voted Sportsman of the Century.” IWC CEO Georges Kern. As a fitting tribute, IWC Schaffhausen selected the Big Pilot’s Watch to commemorate the big man. 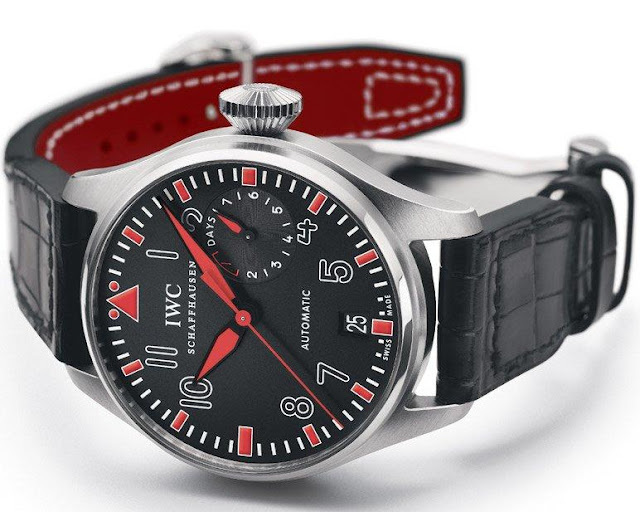 IWC has been making professional Pilot’s Watches for more than 70 years, and one of the most successful models in their portfolio is the larger than-life Pilot’s Watch, first unveiled in 1940. The one off version of the watch in white gold was auctioned at the annual Celebrity Fight Night in Phoenix, Arizona, with the proceeds going entirely to the Muhammad Ali Center in Louisville, Kentucky. The Center’s mission is to preserve and communicate the legacy and ideals of Muhammad Ali, to promote respect, hope, and understanding, and to inspire adults and children everywhere to be as great as they can be. IWC donated this watch alongside another tribute in the form of a large book: “GOAT – Greatest of All Time.” Weighing 75 pounds and measuring 20.20 inches, with over 3,000 illustrations by more than 150 photographers and artists, the book is a celebration of Ali’s life and a literary event in its own right. This was the 18th occasion on which the former heavyweight champion had invited guests to Celebrity Fight Night. Well-known faces included soul legend Lionel Richie, actor and comedian Billy Crystal, five-time heavyweight world champion Evander Holyfield, along with many other famous faces from the world of showbiz supported the gala. The watch features a matte-black dial, the arrowhead index at “12 o’clock”, and the bold, luminescent numerals and hands guarantee minute-perfect legibility of the time regardless of lighting conditions. The hands and appliqués, highlighted with signal-red Super-LumiNova, is mirrored on the inside of the black alligator leather strap, the colour was chosen as it it’s the favourite of Muhammad Ali, who often wore red boxing gloves for his fights. The Big Pilot’s 51111 calibre has a spring-mounted rotor and Pellaton pawl-winding system with a power reserve of over 7 days, before the movement is mechanically brought to a halt by a complex train in the power reserve after exactly 168 hours. Stopping the movement before the tension in the spring is exhausted eliminates the danger of diminishing torque in the mainspring. This ensures the same level of accuracy the whole time the watch is running. The power reserve display at “3 o’clock” provides a reliable indication of the time remaining until the movement comes to a stop. The large crown harks back to a time when pilots wore quilted flying suits and thick gloves to ward off the extreme cold, which made it difficult for them to wind and set their watches, hence the need for an unusually large, chunky crown. “We are absolutely delighted that this exclusive and unique timepiece has been able to make such a significant contribution to Muhammad Ali’s charitable causes.” said Georges Kern.